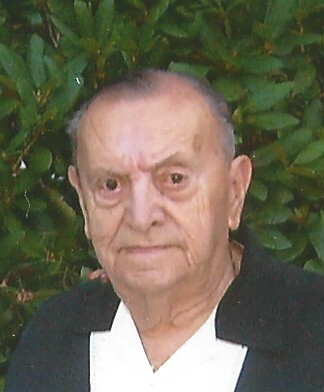 CHICOPEE- Alfred “Chappy” Chapdelaine, 96, of Chicopee, passed away on Thursday, August 9, 2018 at Wingate at West Springfield. He was born on July 29, 1922, a son of the late Aurelian and Annie (Arbour) Chapdelaine. He was predeceased by his wife, Florence (Kagan) Chapdelaine, his brother Harvey Chapdelaine and sister Lena Perrault. Chappy will be dearly missed by his loving daughters, Janice Ledoux and husband Donald of Chicopee; Christine Guyer of Niceville, FL; 3 grandchildren and 4 great-grandchildren. A graveside service will take place on Wednesday, August 15, 2018 at 1PM in St. Stanislaus Cemetery, 800 Montgomery St., Chicopee, MA. Donations in Chappy’s name may be made to the Springfield Rescue Mission, 10 Mill St., Springfield, MA 01108. For more details please visit www.brunellefuneralhome.com.